- Why it's mandatory, when joining Evonomix, to sign up to pass an internationally recognized certification in your specified field, every year. A positive culture is traditionally a stabilizing force that removes anxiety and makes things meaningful and predictable for the people who work in the company. This is both a good and a bad thing(1). A culture that is deeply embedded into the structure and processes of a business is a valuable asset for a high-growth start up that is scaling in a “relatively” stable environment. But, in an environment where the rate of innovation driven change is increasing exponentially and new competitors can come from anywhere, your culture, counter intuitively, needs to be designed to be flexible enough to adapt to the changes. As a CEO you need to be able to articulate and get buy-in to your vision, while at the same time, be able to evolve that vision into whatever will make it most effective in the future, as the external circumstances and dynamic s change. This isn’t a simple task, especially if your company has not been set up in the earliest stages, to be a perpetual learning machine. Your CulturalDNA becomes more of a cause than an effect as the company achieves success and develops its unique history. 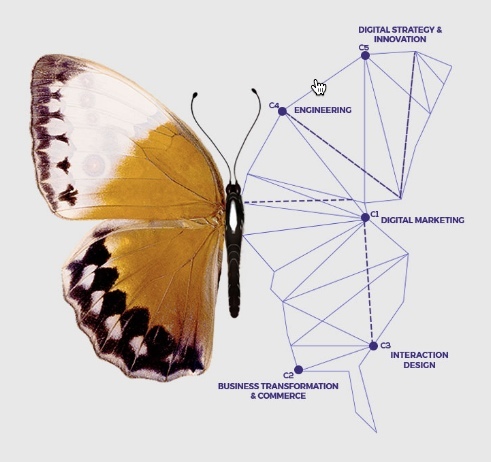 The values, behaviors and motivations which become embedded as a function of the company’s success become the norm and if you have not built a learning capability into your CulturalDNA then it will be difficult if not impossible to adapt and deviate from the norm when the time comes and the environment changes. So what is a perpetual learning machine and how does a start-up become one? Perpetual learning start-ups employ people who are proactive solution finders by default; they are committed to the process of learning rather than accepting that a problem can’t be solved or that a specific solution to a problem is and will always be the right solution to that problem. Perpetual learning start-ups recruit specifically for proactive problem solvers and learners, by developing a values-based hiring process and including the relevant value filters into their interview process. Perpetual learning start-ups invest in and are committed to learning. The CEO of a perpetual learning start-up understands that the process of learning is equivalent to building a valuable asset for the business and should be invested in. Perpetual learning is specifically about being aware and taking cognizance of how the changes in the external environment will impact the business, while also being mindful of the individual team member’s development as well as the internal environment of the company. A perpetual learning start-up’s DNA will be designed to encourage and reward team members who ask for feedback and take action to learn from that feedback. The company will also create the environment where the team can experiment, try new ways of doing things, fail and learn from failure. Perpetual learning start-ups approach problem solving as a shared inquisitive search for solutions. The key realization for the CEO, in a turbulent ever-changing business environment, is that he can’t and won’t know everything and neither will the team. In this way the learning task becomes a shared responsibility for everyone in the team. Sharing the responsibility is the only way for a CEO to build a culture that perpetuates learning. Perpetual learning start-ups understand how to learn from and prepare for the future by compartmentalizing the future. The actions that a company takes now have to be viewed from the perspective of the immediate future, as in, are the outcomes of those actions working now and will they continue to work in the near term? Secondly, those actions have to be viewed from the perspective of the long-term future, in order to assess the potential consequences of those actions and what may happen in the future. The CEO of a perpetual learning start-up is regularly having these near future/long-term future conversations with his team, as he understands that it is dangerous to be lured into focusing on where the business is today and what has been achieved, without considering the future. Perpetual learning start-ups have a commitment to open and honest multichannel communication. Communication and information are crucial to a start-up’s success and the company must therefore create a capability that takes advantage of the available communication channels, to connect up all the employees. It is the CEOs role to create a communication capability in the company that encourages open and honest dialogue between team members, rewards “living” the company values and the success and achievements of business. Perpetual learning start-ups have natural diversity built into their DNA. Cultural diversity brings a more varied perspective, different life and work experiences, educational backgrounds, thinking patterns, approaches and solutions to help a company deal with unexpected crises or events. It is the role of the CEO to ensure that the company’s hiring process is able to produce diverse candidates. In a culturally diverse company the CEO must ensure that the team members bridge the cultural divide, beyond simply working together, and learn from one another about their cultural differences and the value that diversity brings to the business. I spoke with Mihai Bocai, the CEO and cofounder of Evonomix, to discuss his company’s culture and what he is doing to build a perpetual learning engine. We initially started out as a digital agency offering digital commerce solutions to the market, but then we realized that digital touches the entire organization and customers don’t just want a pretty app, they want a complete integrated solution. So we’ve developed the agency business into a fully-fledged marketing and technology company specializing in strategy, interaction design, engineering and digital commerce. We do it all, we build eCommerce solutions, integrate corporate infrastructures, design user interfaces, shoot beautiful pictures, search engine and social network optimization, create and manage relationships with top influencers, write compelling and persuasive content, innovate digital and physical products that improve people's everyday lives. Every company goes through Bruce Tuckman’s phases of development, forming, storming, norming and performing. We have progressed through the storming phase and we are now in the early norming phase. The forming and storming phases were quite extensive and expensive, but we learnt a lot and we have established that we know what to, how to do it and more importantly what we want to do. Last year we decided to move away from doing the majority of customer based project work to focus more on developing our own solutions and products in-house. Have you created a new department to focus on developing your own solutions? Yes, we opened a new innovation department to focus on areas where we could achieve exponential growth. We are doing this by taking a more proactive approach to finding technical solutions to problems; we identify industries where we see an opportunity to solve a problem and then develop the solution in-house. We then approach the customer with a product that solves the problem and then build a commercial arrangement around the solution we have created. How have you approached staffing for the new department? We realized that we needed to look outside our expertise and knowledge base for the person to head up the innovation department. We wanted to find someone young and smart, who was not from the tech sector and could bring a different perspective to the table. We wanted someone who could look at issues, problems or opportunities in a different way than the people who had been “virused” by a technical education or who had work experience in the technology field. If you want to do things in a different way you need to work with people who don’t know what the typical solutions to the problem might be. I believe that as adults we get virused by the tertiary education we undergo and the work we do, and with time and experience we lose courage. The person we hired is 20 years old and he has a lot of courage and opportunity to experiment and find different solutions. What are the challenges you are experiencing in the Romanian market? Our growth rate should be higher than it is. Our main challenge is finding the right talent. We have a strong pipeline of customers and our own internal opportunities; we are simply desperate to find the right people. This is an incredibly competitive market where everybody is trying to scale their business. We have moved down the talent supply chain and have decided to invest in training people at the university level to start to build a potential recruitment base there. We are also opening a second office in Bucharest to tap into that talent market. We have grown to 32 people. By the end of 2017 we will be 50 people and by 2019 we should be a 100 strong. It’s a very difficult market to operate in. We’re offering market rates while in some cases the competition for the talent is offering twice the base salary we are. These are companies where you will be joining the technology department of an insurance business for example and you don’t have a brilliant future in tech ahead of you. Our approach is this: if money is the only thing that you believe will bring you happiness, then we are not the right place for you to work. At Evonomix we are all about self development, learning and growing and, over the last two years particularly, we have found that our people stay with us not because of money, but because they fit well in our culture, are learning, developing and trust our technical view of the future. There is a real war for talent in Romania and, as a company, we need to differentiate and our culture is the main weapon in the war. A strong clearly defined culture is a pre-requisite in our market. It’s increasingly obvious that, if we don’t continue to invest in the culture and internal branding of company, we stand very little chance of real success. When did you find that you needed to start developing your company culture? In the early days of the business we were a handful of people, so it was easy to communicate and get everyone on the same page. As the team grew, it became harder to communicate effectively and, as the founder, I realized that I was doing too much of everything. In the early days, I pretty much imposed my ideas with a “It’s my company and I know better” approach, which was not ideal. It’s incredibly hard to go from this stage to then loosen your grip on control and eventually let go. It turns out, as you grow the business, that you have to give control away to get control. About 3 years ago I started to think seriously about developing the culture and letting go because I realized that the business had reached a plateau and wouldn’t scale if I didn’t. The great thing that I found, as I let go and allowed the people their freedom, was that they automatically stepped up to the plate. I was able to focus more on strategic thinking and get more of the important vs urgent stuff done; I got a lot more open feedback, great ideas and the rate of growth picked up again. For me, it got really addictive as I saw the results happening. One of my big “letting go” achievements was that I managed to extract myself from the project implementation phase. We have 70 active projects running at any one time and I have a high level idea of where we are tracking, but I am proud to say that I have no idea of how the projects are being implemented. I found that it’s critical to be able to pull yourself back because you really can’t think strategically if you are involved in the day-to-day. By letting go, my team stepped up and, with ongoing coaching and training we provide, they have developed into a strong management team. How did you define the company values? I called the team together and we did a brainstorming session, so that I could see how the rest of the team saw the future and whether that matched where I saw the company going. There was a good overlap so I discussed where I saw the company going and asked them to write down 5 values that related to how they felt about the company. We created a list of 50 values and then started to shrink the list. It took 6 months with endless discussions and negotiations to get down to the 10 values that we have today. Although it took longer than I would have liked, the team is totally committed to driving the business forward with these values. The values and behaviors are what drive our future. We are continually striving to put things in place so that we live the values in our business; we are not there yet though. We are not a very mature culture as we are in early norming stage of the business, but we’ve made a great deal of progress and we are getting there. We have a lot of things in place that we didn’t have three years ago. If I asked your team now to recite the values how many of them would be able to recite them all? I would say 90% of them would be able to tell you at least 9 out of 10. - This is a game. Play to WIN! This is a game. Play to WIN! We are providing state of the art products and services. We are in a win-win situation with our clients and we are always the best at what we do. Our employees face and embrace challenges, they are always set to grow themselves, the team and the company. We learn every day and we pursue the top growth opportunities in the field, both professionally and personally. We focus on fast solution discovery. Figuring out what works means that we have to go through a lot of ideas and projects. We optimize time and resources, focusing on the right innovative solution on the given context for our client. The world is always ON. So are we. Our customers’ needs will always be addressed on spot. Ability to represent and develop tasks and work processes for desired outcomes. We understand our work as a process and we prepare our environment in a way that enhances our ability to deliver the desired results. 4th - The best level = AMAZE YOUR CUSTOMER - do things for them that surprises them so much that they tell other people about their experiences. Delight & amaze customer = own the market of the future! Are you focusing on any particular area of your company culture at the moment? We are building a learning and development culture and, as a company, we are focusing on how we can help our people learn, develop, fulfill their potential and make progress within the company. We have developed a learning development program that’s represented by a pyramid with different colors to demonstrate the learning modules on the pyramid. It’s not easy to take a technology person and turn them into an effective people manager. Learning soft skills is critical for the managers who all have a strong technical background. We realize that we need to develop a team that can lead, motivate, spot problems, come up with solutions and take decisions on a human level. So we are investing resources in growing the people management skills for our managers. It’s important to understand how your department fits into the greater scheme of things and to also understand what the other teams do and why. So we have developed a cross departmental training program which ensures that the various teams understand what the other does and why, and how their function fits into the business. The design team will build a training module for the engineering team to demonstrate how they approach a specific part of their job and the Performance team will build a training module for the Project Managers to demonstrate how Facebook advertising works, for example. We work in a highly competitive and complex environment. Our customers come to us because they have difficult problems that nobody knows how to solve. We don’t repeat the same project ever, so, in most cases, when we take on a project for a client we have no idea how to do what the customer wants us to do. So we need to learn, try, test, study, be audacious and invent solutions and be able to learn from the process. At the yellow level we train ourselves not to fear the unknown, we know there is a solution and we believe that we will find it. Understand schedules and time estimates Etc. How else do you encourage learning and people development? We offer unlimited training on anything, it doesn’t matter what our people want to learn. Any skill they acquire could potentially help them perform better in our demanding and uncertain environment. If someone wants to learn Arabic for example, that’s fine. We have started to ask anyone who has been on a training course to share what they have learnt with the team, so there is an added advantage of a small portion of what they have learnt infusing the rest of the team. It is mandatory, when joining Evonomix, to sign up to pass an internationally recognized certification in your specified field, every year. Everyone who joins us basically commits to gaining a new certification every year. Our aim is for everybody to become a subject matter expert in their field. We create a career development plan together with every employee. An engineer will have a career development plan that covers all the areas of training they need to develop in their field. We don’t force them to do anything, we let them choose a path that fits them and the future they envision for themselves. We try to harmonize their future with the company’s future. How do you manage the time requirement of all the learning and development you expect from your team? As an employee, you are expected to invest some of your personal time in your development, not just company time and, of course, our employees think it should be the other way around. I understand that the company is the fastest learning environment and there are situations where 5 people will get together in the company and learn something in 5 hours, which would have taken them a week to do as individuals. It’s important to find a balance as this is a company, not a university, and we all understand that we need to generate the revenues to finance the development of the business and the learning and development of the team. How do you know that your team is living the values? One of the signals is the results we are achieving. Our communication is better, we seem to have a higher trust factor across the company and our people also seem happier. On the recruitment side, we have less churn and are able to hire better people. Another signal is the excellent feedback we get from customers after we have delivered on a project. Our staff turn-over is lower than it’s ever been. We have just finished implementing our HR platform and we are now doing internal reviews about the company, so we have started to audit how we live the values in a more structured way. We don’t yet have a single KPI to measure. Our HR team is working on building out a system to understand how well and how deeply our values are being lived on a day-to-day basis. What does the future look like for Evonomix? Last year we sat down with the management team to build out our vision for 2020. We asked ourselves to look forward 5 years and describe how the company will look and feel in 5 years time. We looked at what the best case scenarios would be, what we are lacking and what still needs to be implemented to get there. Each of the department managers has created a plan to fill the gaps and I will be working closely with them to ensure that we fill those gaps. The challenging is investing for the future while, at the same time as ensuring we achieve the immediate business growth, we need and manage for the weakness in the talent market. Our aim by 2020 is to become the most successful startup venture studio in Eastern Europe. Currently, the majority of our projects are customer driven; by 2020 the majority of the projects we work on will be our own ideas, which will either be brand new startups or solution specific products that we build in-house. We will focus on solving industry specific problems and partnering with or selling to industry players. An example of this approach is a recent project where we targeted the agriculture sector. The big agriculture companies in Romania have traditionally had a hard time reaching smaller farms that are less than 100 hectares in size. So we spec’d out and built a gamified farmer community platform prototype. When we approached the agri companies, the dialogue was totally different with the solution already built. As a venture-building studio we will also focus on building pure play start-ups targeting global markets, which we will invest in and drive through growth and eventually successful exit. One of our first projects is to build a platform for digital influencers and brands, which we are aiming at fashion, fitness, travel and other verticals. What really motivates the team? The team is motivated by a vision of the future in which they believe. If all our actions go into that direction, the motivation process becomes lucrative. The sense of being part of something great and the rewards that come with implementing an important and innovative future are the motivational fuel. As a company, after you ensure the comfort package (good salary, medical subscription, gym and other small perks), you get to a level where you realize people are actually motivated by building better relationships. That is why, for example, a Hackathon will really motivate the team, beyond a common material reward. We held our first full-blown Hackathon in January where 16 out of our 32 staff participated. There were 3 teams who had 12 hours to develop a full project to prototype. It was a lot of fun and the result is that we’ve improved relationships, we’ve built something from a different angle and we saw a deeper level of communication and collaboration between us. What are you personally focused on as a leader? I realized that a lot of the issues that are experienced in a company come from poor communication so I invest a lot of time in communicating with the team and ensuring that there is excellent communication across the company. We do weekly management meetings focusing on Evonomix 2020 and I do a monthly CEO meeting where I discuss achievements, new projects, new staff members and other areas of interest for the company. We have two Whatsapp groups and a private Facebook group which we use for shorter comms in order to disseminate information faster. Evonomix is a marketing and technology company specialized in strategy, interaction design, engineering and digital commerce. They work with market leaders and challengers pursuing growth by applying novel and adaptive thinking to the most ambitious business scenarios. Innovation stays at the core of their processes as they combine cutting edge technologies with a trans-disciplinary know-how to discover the best solutions for their customers. Every single day they build eCommerce solutions, integrate corporate infrastructures, design user interfaces, shoot beautiful pictures, dominate the search engines and social networks, create and manage relationships with top influencers, write compelling and persuasive content, innovate digital and physical products that improve people's everyday lives. All of this, while learning and having fun all the way. This is who they are and what they do, in an always-on world that rushes faster and faster every day. They take great pride in their people and their portfolio. They are constantly developing the team and always on the lookout for bigger challenges. 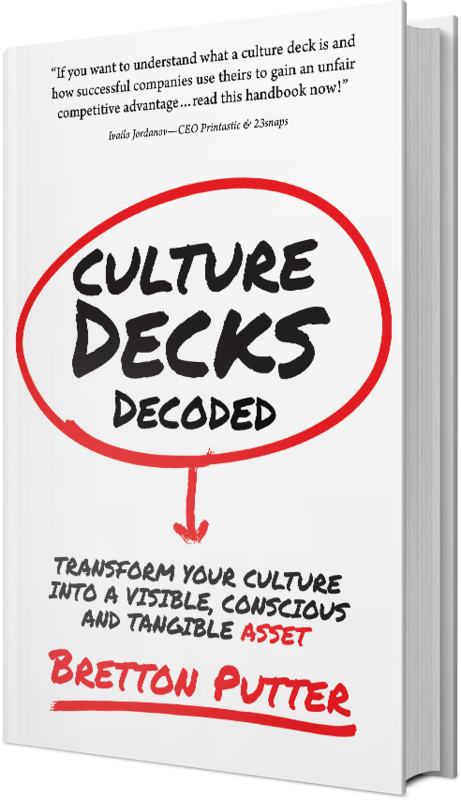 (1) If you are building a Deliberately Developmental Organisation (DDO) your culture will be meaningful, but will definitely not be anxiety free or predictable for the people who work in the company.